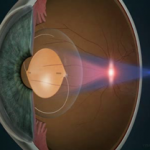 It substitues the opaque lens and is “molded” to correct myopia or other problems. A photosensitive lens against small defects. The very first italian implants of lenses customizable with a ray of light, in place of the opaque lens after cataract surgery, are being performed in Milan, at the S. Giuseppe hospital (Hospital Order San Giovanni di Dio-Fate bene fratelli, Multi Medica Group). This new solution for a “high definition” vision is already used in France, Germany, Belgium and, since two years ago, in the United Stated. 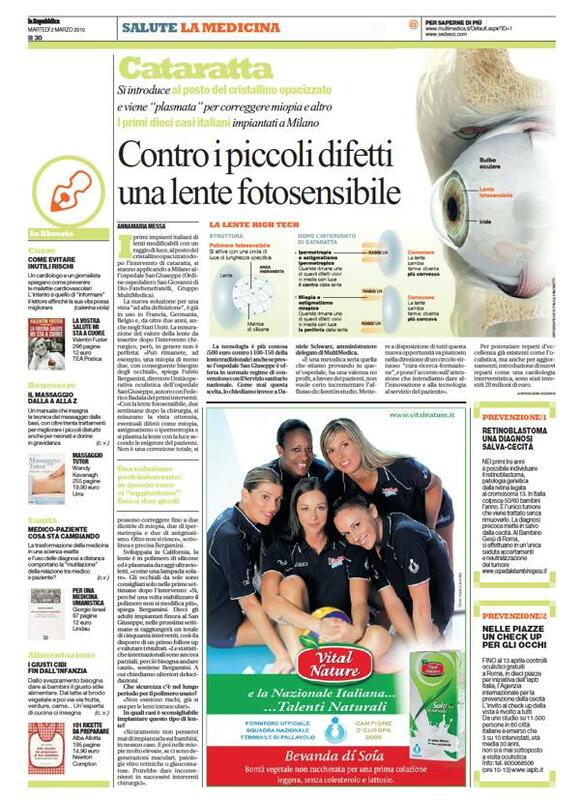 The lens’s value measuring to be inserted after surgery, is not yet perfect: “A -2 myopia could still be there, for example, and glasses would be needed>>, explains Fulvio Bergamini, head of the San Giuseppe’s operative ophthalmology ward, author with Federico Badala of the very first surgeries. <>, underlines Bergamini. 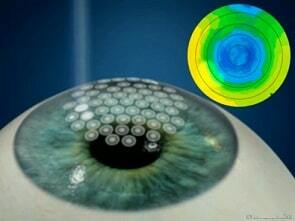 Developed in California, the lens is a silicone polymer and is created with ultraviolet rays, <>. Sunglasses are suggested only during the first weeks after surgery: <>, explains Bergamini. Ten adults have been implanted up to date at S. Giuseppe; over the next week this number will rise up to fifty surgeries, so that it will be possible to have a follow up and evaluate results. <>, says Bergamini. We ask for more explanations. Is this polymer safe over time? <>. When it is best not to implant the lens? 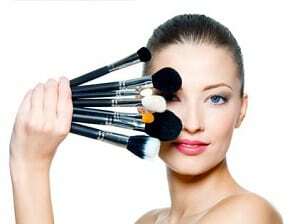 << I would never think of using it on children, under no circumstances. And also in case of high degree myopia, if there are macular degenerations, vitro-retinal or glaucomatous pathologies. It could create problems over the next surgeries>>. This technology is pricier (500 euros against 100-150 of the traditional lens): often the S. Giuseppe hospital offer this procedure in convention with the national Health service. We ask Daniele Schwarz, MultiMedica CEO, why going for this procedure. <>.